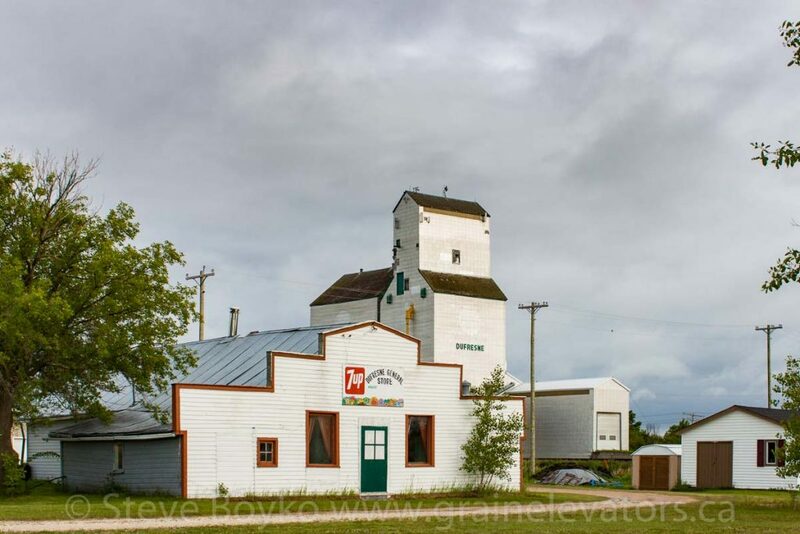 The Dufresne grain elevator is an ex Manitoba Pool elevator. 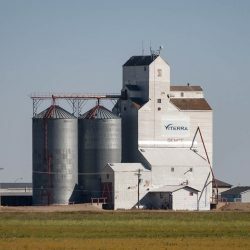 This grain elevator has a capacity of 2,910 tonnes between the elevator and its annex. 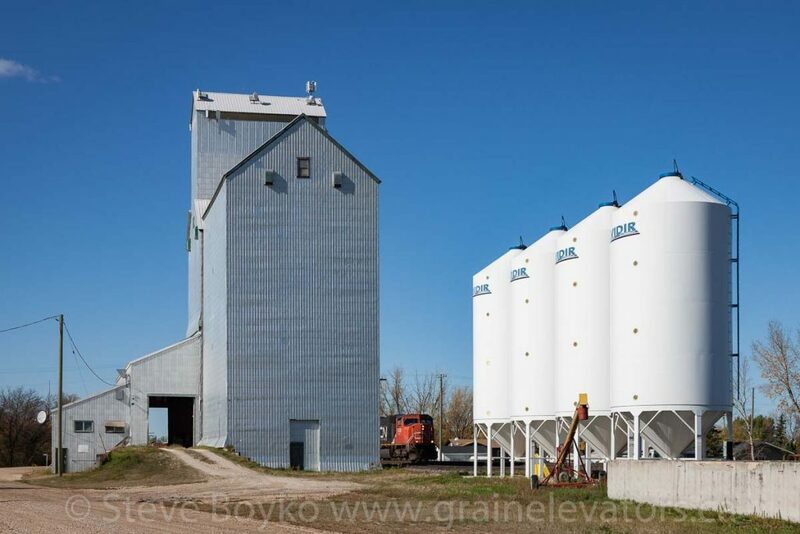 The elevator also has some storage bins, presumably for seed or fertilizer. It is privately owned. 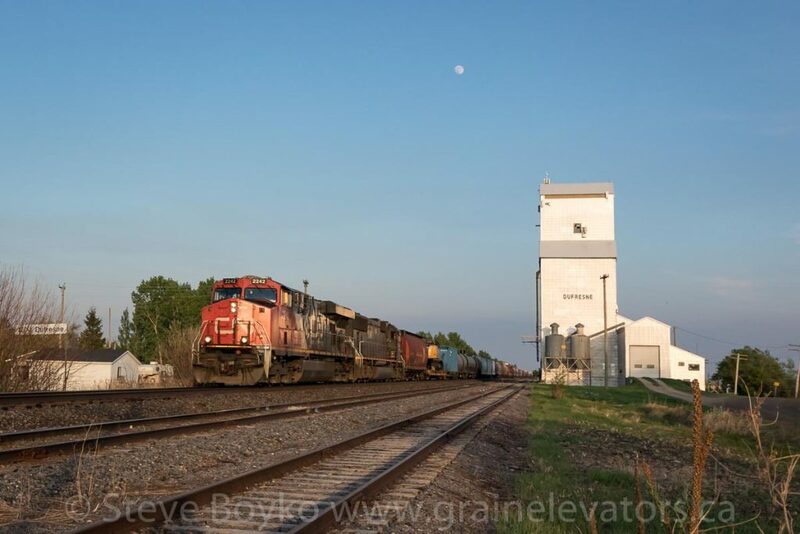 It is unclear whether any grain is shipped from this elevator any more. The village of Dufresne is a quiet town now, with a few small businesses and a now-closed general store. 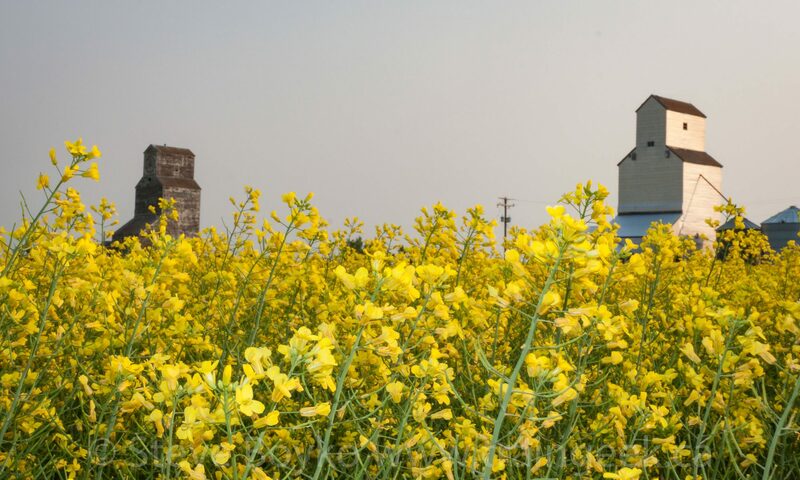 See also Dufresne and the CN Sprague subdivision.